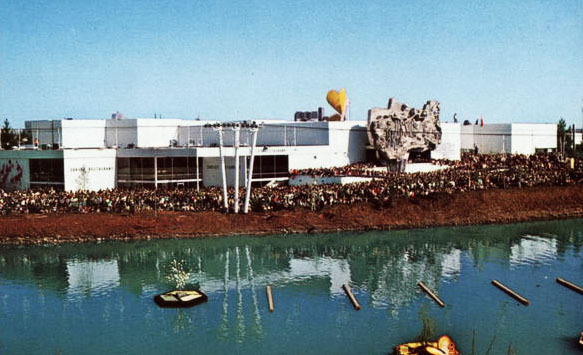 U.S.S.R. Pavilion on the banks of the Spokane River is the largest foreign exhibit at Expo '74. On the left is their riverfront restaurant featuring authentic Russian food. The Pavilion focuses attention on the international cooperation in the field of environment. 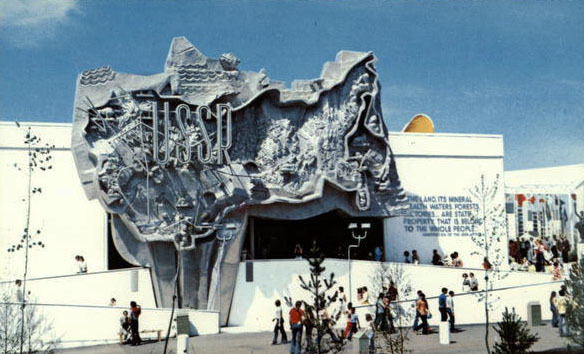 Soviet Pavilion shows an enormous, interesting and intricate relief map above the entrance. 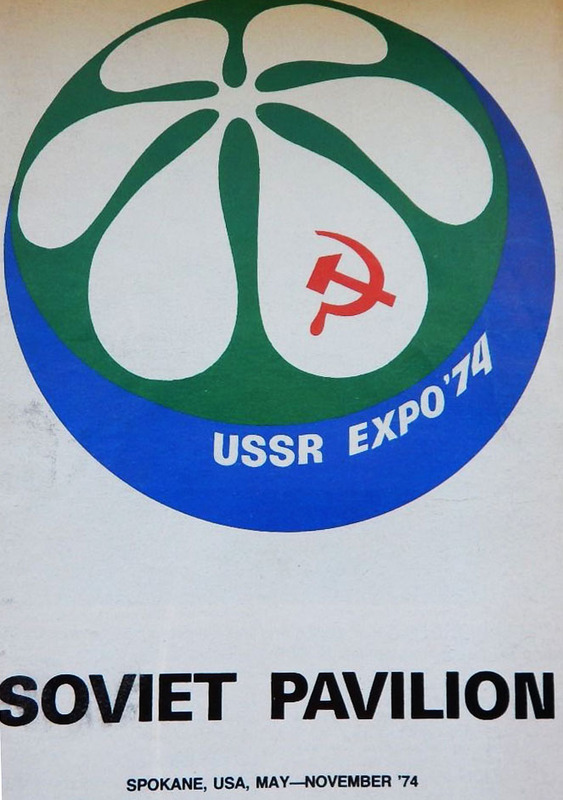 The pavilion consists mainly of three theaters and presents approaches to environmental problems. 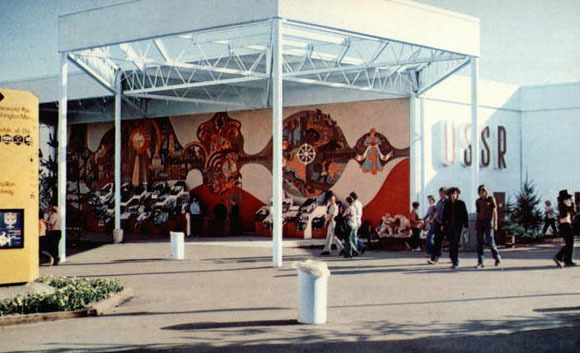 U.S.S.R. Pavilion colorful in-tourist mural decorates a wall portion of this, the largest foreign exhibit at Expo '74. U.S.S.R. Pavilion. 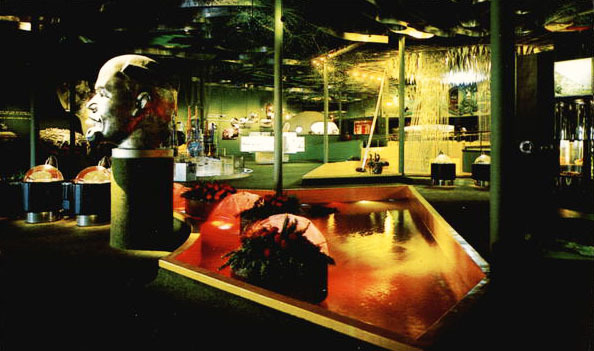 This colorful exhibit is just inside the entrance. 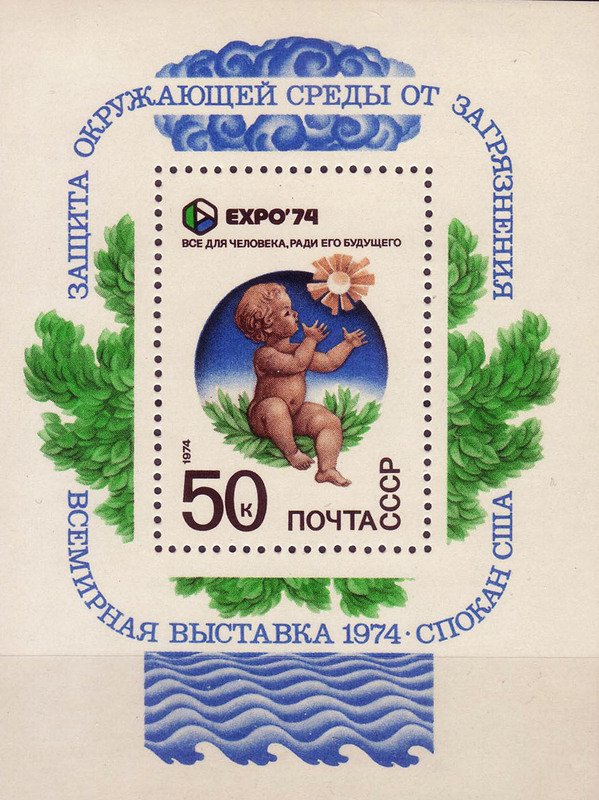 On exhibit is a scientific section, as well as the countryside and industries showing the same pollution problems as other developed countries.